The end of democracy as we have lived it in the latter part of the 20th century ... new battle to conquer the Persians! American mercenaries, torture and rendition as in Erik Prince, Oliver North and Black Ops ... worse than the Iraq War, Syria, Libya and Afghanistan. So we remember Laos, Cambodia and the Vietnam War. The Victor's Courts ... why are British, French and Americans never prosecuted by the International Criminal Courts for war crimes? AMYNTAS m Ancient Greek derived from Greek amyntor meaning 'defender'. The name was borne by three kings of Macedon. Mythical Amyntor in Greek Tragedy often denoted with chivalry and heroic feats. This book, published by authority of the Greek Ministry of Information and probably written by the minister, Mr. Michalopoulos, who graduated at Oriel College, Oxford, and writes English perfectly, contains the history of enslaved Greece, as far as it is possible, and forms, therefore, a sequel to Mr. Compton Mackenzie's work. Its text is: "Greece is an occupied country but its people are undefeated." It describes the guerrilla warfare, especially in Crete and the mountains of the mainland, train wrecking at Drama and Larissa, fires, and sabotage, despite the discouragement of the archbishop, who was deposed for cursing the German military commander for shooting hostages. Italian casualties have been I,200 monthly, but the Germans, who admitted that "they have never come across such stubborn opposition as in Greece," are more drastic in reprisals than the Italians. A "Greek summed up the attitude of the ordinary civilians in these words: 'towards Germans intense hatred, towards Italians intense contempt.'" Worst of all are the Bulgarians in Thrace and Macedonia, who, wishing to retain those provinces after the war, have executed priests who refused to conduct the services in Bulgarian, closed Salonika University, and dismissed all schoolmasters who would not teach in that language. The Italians made Italian the second language taught in schools and issued official history books, compiled on fascist lines. Athens University has been closed indefinitely, but the students, always active in political movements, have continued demonstrations, despite the admonitions of the Greek Quisling, who also in vain asked the people "not to listen to Allied broadcasts." Public meetings were held in shelters during air raids; "AMera," the warcry of the Evzones, was chalked up on walls. "The Greeks will not work for the Germans even if faced with famine." The 5/42 Evzone Regiment "Delvinaki"
The Evzones are surely the most colorful. They are part of the country's regular military establishment and fight in their country's wars. In late 1940, when Greece was successfully repelling an Italian invasion from Albania (then Rome's colony), the Evzones served as scouts working their way through the woods and over mountain peaks. They fought only with knives, hands and teeth in order to insure silence, taking prisoners for interrogation from among the frightened Italians. When World War II ended in 1945 the Evzones were removed from the regular fighting establishment and limited to service in the Presidential Guard (originally, before Greece became a republic, the Royal Guard). 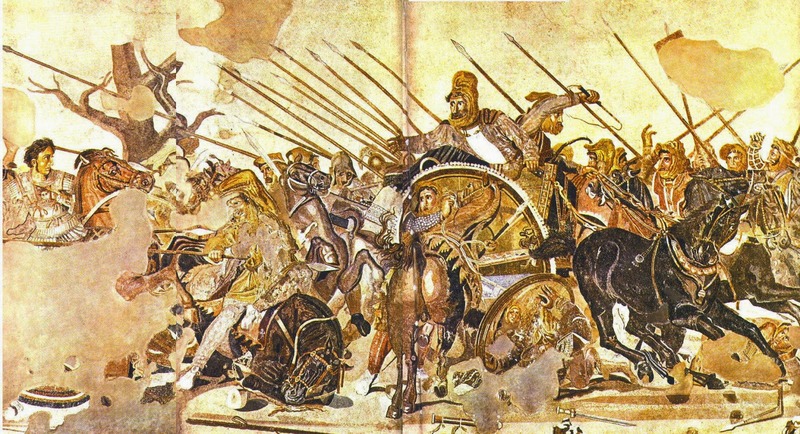 The Evzones had a long and valorous history before being assigned solely to ceremonial duties (although they would be integrated into regular infantry formations should another conflict involve Greece). The word ''evzone'' comes from a soldierly term meaning well girded or well armed, which, their current commander says, was used as early as Homer's epics. CIA Director Mike Pompeo has publicly promised that the agency would become "much more vicious" and aggressive. He said in one speech that the administration "is prepared to engage in activities that are different from what America has been doing these past few years." Those familiar with the proposals say one of the driving impulses for privatizing some missions is a fear by some supporters of President Donald Trump, outside government, that the CIA bureaucracy has an anti-Trump bias that would thwart efforts to fulfill the president's objectives. "The system does not work," one source who is sympathetic to the Amyntor efforts told BuzzFeed News. "The people leaking this to you just want to destroy the president." Amyntor Group is a reclusive company headquartered in Whitefish, Montana, a town of 6,500 residents that recently gained notoriety after a company based there won, then lost, a $300 million contract to rebuild Puerto Rico's electrical grid. There is no known relationship between the two companies. Amyntor's website describes its mission as "providing extraordinary security solutions." It claims to "maintain an experienced cadre of cleared professionals that possess Subject Matter Expertise (SME) in the areas of intelligence training, collections and analysis, risk assessment, and counterintelligence to support U.S. and friendly foreign government activities around the globe." The lethal threat posed by ISIS trained operatives in America, most recently displayed on the streets of Garland Texas and San Bernardino California, highlight a new challenge for American state, local and municipal police and sheriff departments. For the first time, domestic law enforcement is faced with a threat that, by design and training, is prepared for and seeking an armed, violent confrontation with first responding officers as part of their operational plan. Facing off, without warning with a trained adversary who is willing and able to engage armed representatives of the state, and has prepared for and expects to die at some point during the engagement. This threat calls for a review and consideration of existing training, response, and tactical doctrine. The PODA Program is a hard skills program designed to teach hand picked officers who would be called upon to work offensively inside the incident perimeter, to augment patrol and SWAT or other tactical units, with the purpose of locating the threat and seeking contact, to eliminating the threat as quickly as possible, vice seeking an arrest. The violence of action taught and employed by ISIS operatives, needs to be met with a new type of police response. Shawn Lewis is the President of Amyntor Group, an international secutity firm providing custom consulting, training, security and support solutions to governments and corporations around the globe. As a former soldier with a over a decade of Law Enforcement experience he has been a Team Leader and Primary Instructor for the U.S. Department of State, Diplomatic Security Service, Anti-Terrorism Assistance Program, training over 17 foreign counter terrorism and close protection units, in weapons and tactics. Shawn is a TCOLE Instructor, a TCOLE Firearms Instructor and a graudate of the FBI Firearms Instructor course. He has authored USG and state certified course programs for weapons, use of force, and tactics training. Mr. Lewis is the recipient of the Veterans of Foreign Wars, State of Texas, Law Enforcement Officer of the Year in 2001. In the early 1980’s a group of Texas police officers who were assigned to SWAT units saw an obstacle in the path of their careers. This obstacle was a lack of training, and a lack of standards for tactical officers, tactical teams, and the operations they conduct. These officers recognized a need for a state association to exchange information, to create standards of training, and equally as important, to create and provide affordable training resources for tactical officers and teams. The Texas Tactical Police Officers Association was the result. The TTPOA encourages communication and mutual support between agencies. COMMAND magazine has been the communication tool for the association since 1992. Each year the TTPOA holds a Competition to encourage high standards of physical fitness, and a conference to give members a chance to "network" for the exchange of ideas and techniques as well as to attend high quality tactical training. The Roman empire went on longer than most as we've said. The immediate problems that explode in the third century are invasions and successions. Invasions by first of all Persia. Persia is the old enemy of the Roman empire. Indeed as many of you know the old enemy of the Greek city-states that precede the Roman empire as far back as the first historian of the western tradition, Herodotus, first week of directed studies for those of you who are nostalgic for that experience. Persia is the enemy. Well, we never study Persia. It's like off-stage all the time and that's the great benefit of the department of near eastern languages and cultures. If you want to learn about Persia really from within instead of "O, my god, the Persians" in 370 B.C. and it's gonna to be, it's going to come to an end in the seventh century. But uh that's because of Islam. Garth Fowden's Empire to Commonwealth - Consequences of monotheism in late antiquity, which I read ~25 years ago, best framed this whole issue for me. He also argues the importance of Iran and the Iranian plateau as a geographic fortress that gave weight to the Persian and Sasanian empires located there. In a age when China and India were too remote to matter Iran hosted the 'middle empire, between the Byzantine and the Kushan. This contrasts with the 'three great monotheisms' view of the period more common in 'the west', which was a barbarian fringe once Rome fell. I always find it amusing that Sparta's pro-Persian foreign policy, and direct collaboration with the Persians with an eye towards the "pacification" of Greece and an end to the dangerous politics of their Athenian rivals -- somehow that always gets forgotton by clash-of-civilization dumbasses. Treason Against Europa at the very root of the civilization! That root gave rise to many fruitful branches, not least when transplanted to North America. I'm slightly concerned that the extensive use of quotes in this diary may be in breach of our user guidelines on quoting external material. The formal international partition of the Republic of Macedonia between Albania and Bulgaria is what the author predicted back in May 2015 and which was even indirectly responded to by Russian Foreign Minister Sergei Lavrov at the time during the height of the country's Color Revolution crisis, but this process has since taken on an unofficial form as well if Macedonia is "federalized" into an Albanian western half simultaneously with its eastern one being socio-economically subsumed by Bulgaria, with this latter scenario being facilitated by the Albanian "bilingualism" push and recent "treaty" with Bulgaria. Some Macedonians have keenly picked up on this plot, but that's why the ruling authorities have sought to imprison patriotic citizens and political figures in order to intimidate the rest of the population into passively allowing this anti-constitutional and even treasonous process of state dismantlement to continue. To add insult to injury, the "Cultural Marxist" erasure of all visible signs of Macedonia's historical uniqueness will probably be directly supervised by Hoyt Brian Yee, Victoria Nuland's successor and expected replacement of current US Ambassador to Macedonia Jess Baily. Yee was just as responsible for Macedonia's coup as Nuland was for Ukraine's, yet at least the Eastern European country wasn't totally humiliated to the point of having her officially oversee the destruction of its monuments to Lenin, the founder of Ukraine's first-ever statehood no matter how "politically incorrect" it is for its ultra-nationalists to ever acknowledge. In Macedonia's case, however, the Balkan country is being forced to endure the shame of having the man most directly responsible for their coup placed in charge of seeing out the destruction of monuments representing a much older civilizational heritage than just the past 100 years. Sounds like Andrew Korybko needs to have his meds upgraded. His writing is very edgy. On the other hand, he refers to the Macedonian situation as "Dictatorship Of The Proletariat", thus invoking Marxism is a lesser stretch. Washington, 29 November 2017 (MIA) - Hoyt Brian Yee, US Deputy Assistant Secretary of State for European Affairs and Eurasian Affairs, as of next year will be the new US Ambassador to Macedonia, Al Jazeera Balkans (AJB) correspondent reports, citing sources of the US Department of State. Hoyt Brian Yee will replace the current US ambassador Jess Baily, who was in that position from December 2014. Hoyt Yee is an experienced diplomat and expert for the Balkans who started his career in the 1990s along with the so-called "bulldozer diplomat" Richard Holbrooke. The sending of Hoyt Brian Yee to Macedonia is assessed as a confirmation of Washington's increased engagement in the Balkans, primarily because of Moscow's attempts to impose its influence in the region. With the recent appointment of Wess Mitchell as new Assistant Secretary of State for European and Eurasian Affairs by the US Senate, the gap left by former Obama-era Assistance Secretary Victoria Nuland has been filled by the administration of Us President Donald Trump. Since January 20, Yee had looked after Nuland's duties. It may be expected that Mitchell is looking for a deputy that has not been appointed by the previous US president. Ever since the departure, Deputy Assistant Secretary Yee has played a significant role in the Western Balkans, playing an important role in the solution of the political crises in the region that all came to a head in May. Within 24 hours, the political stalemate in Macedonia was resolved with the instalment of the new government of Zoran Zaev, the MacAllister+ agreement in Albania, and parliamentary elections in Kosovo. Even after this diplomatic success, Yee continued to be prominent in Western Balkans politics, recently stating that the truth about the wiretapping scandal in Macedonia, which had led to the fall of the Gruevski government, and the Tahiri-Habilaj affair in Albania needs to come out. He recently visited Belgrade and Prishtina, in the hope of furthering the dialogue between Kosovo and Serbia. A crumbling Empire needs internal security and militarized police to keep the peons in line. Fascism is the failure mode of liberal democracy.